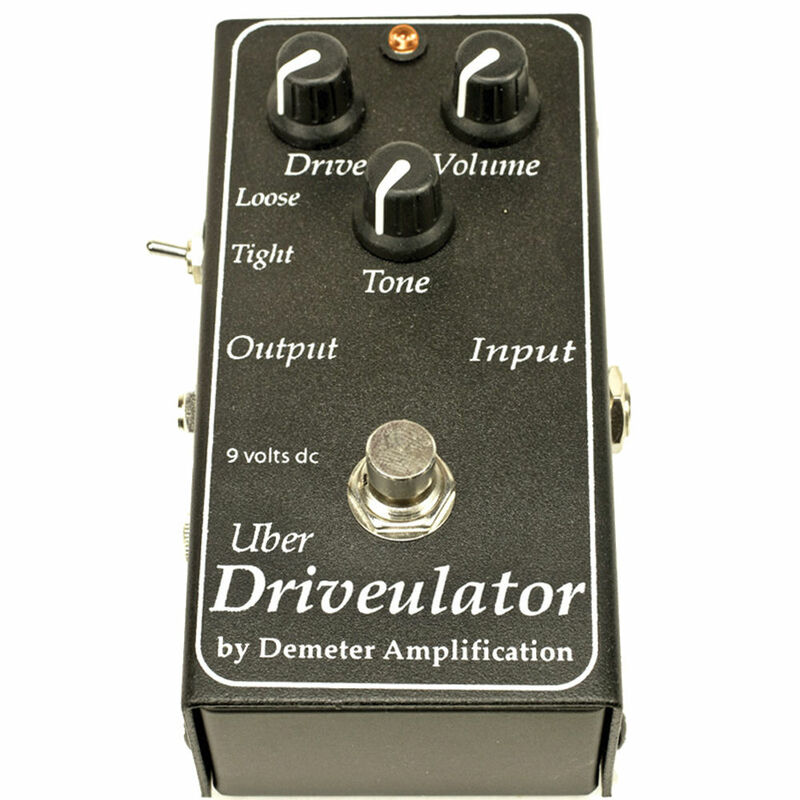 The Uber Driveulator from Demeter is a distortion foot pedal for those looking for a much cleaner drive circuit with more headroom. The pedal can operate in 2 modes, with the Loose mode similar to the Tight mode of the Standard Overdrive but with a bit more headroom, and this Tight mode which has even more clean headroom and much more output power. Varying the amount of Drive, Volume and Tone using the 3 dedicated knobs allows the pedal to provide a very wide range of musical sounding tone. The Drive control can turn up the gain of the drive circuit 100 times, while the volume knob can keep the gain under control. 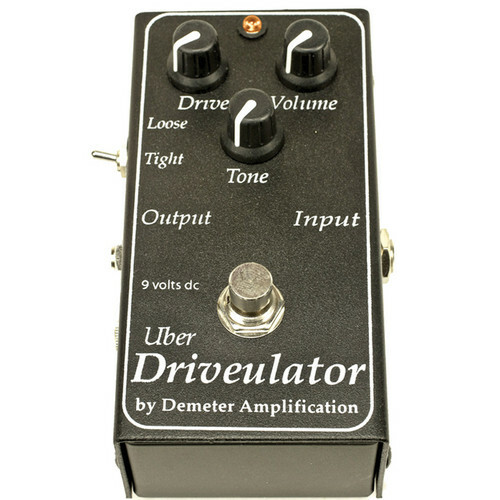 The pedal can be used just as a clean boost if required and the included trim pot can be used to set the required output gain.